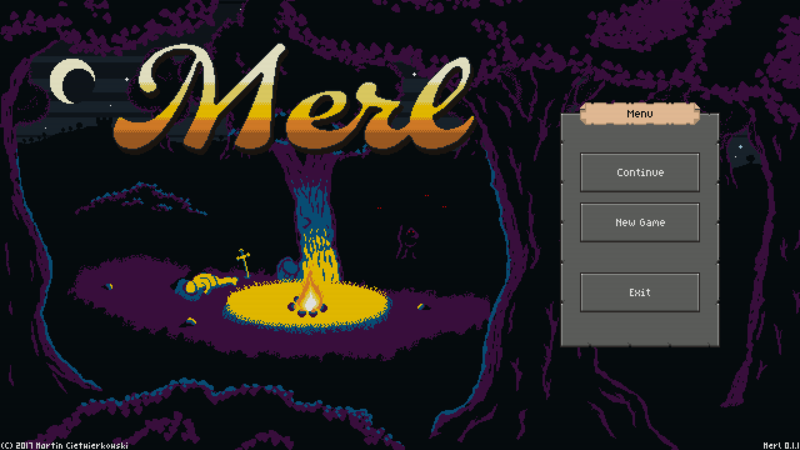 Merl is a new roguelike game under early development. At this point in the development the game is not yet feature complete, or even close to it. There is no attempt at any balance either. Follow the development if you'd like to watch the game as it's put together piece by piece. 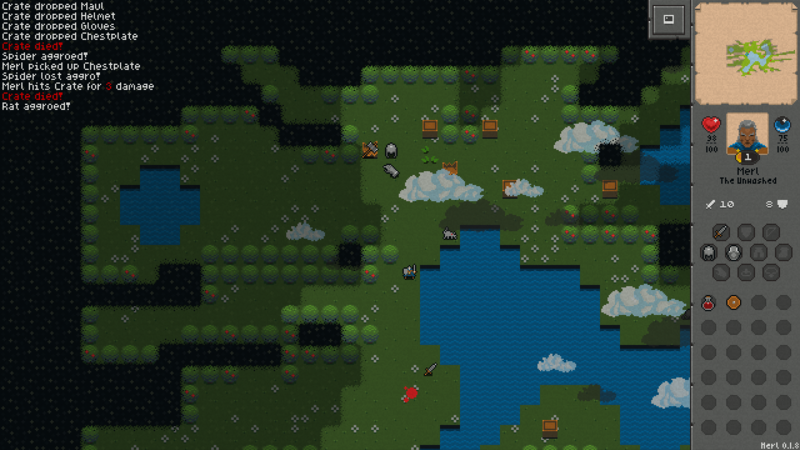 Added some more proc-gen environments like forests (which tie into the title screen) and caves. 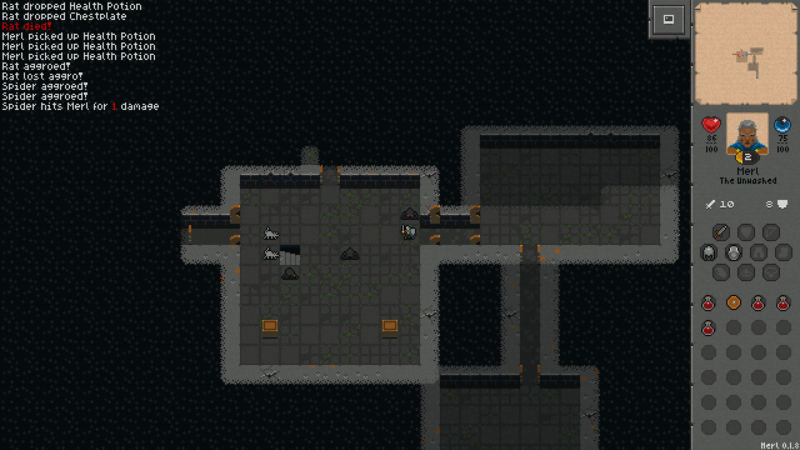 Also restyled the dungeons a bit. Merl is built using the FES Retro Game Framework (pixeltrollgames.itch.io/fes) for Unity. Went down in the caves for a long while but eventually I reached a staircase that just didn't work. A reaper walked on it before I did, does that lock the staircase somehow? Definitely one of the best roguelike games I've ever played. Keep up the amazing work! I'll be letting people know about this one. :) Also gave a rating. Cheers. Thank you! A lot of these are planned in fact, the game is just nowhere near being feature complete yet. 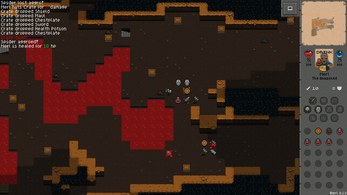 btw another thought to mix things up, make some creatures (rats, small spiders, and such) run from the player and take loot/keys with them, but attack really hard when cornered or try to escape through holes, that way players could attempt to survive early levels with less loot/xp/stuff but more safely, but as they go along less creatures will fear you and the lack of grinding would add up. 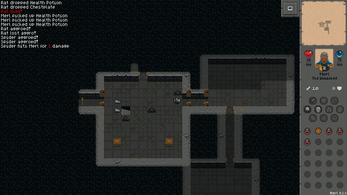 Well, i made it to the second level of the dungeon, considering the early stage i'd think thats a good start. The game concept is good, the art is great. The UI seems too small, Most of the screen is empty while you could have a bigger map and seeing what's going on easier. The music is relaxing and catchy. I can't tell about any of the upcoming features, except it seems you can have a melee and a ranged weapon both together, but it totally depends in the rest of the game to know how viable and balanced would that be, considering arrows will be scarce and hard to come by. So far it seems everyone moves at the same time, there is no faster or slower. A game called Elona has a speed-based turn system. Where time passes based on the player speed. If you have 100 speed and a enemy has 50, you'll move twice as fast as them. Just a example. Second level is good actually, the game is completely unbalanced and it's far to easy to die at the moment. Thank you for your constructive feedback, it's very much appreciated! Do you mean individual UI elements are too small to interact with comfortably, or that there needs to be more UI like minimap? There will be a minimap, health and status info on the screen. There will be melee and ranged combat, along with various skills for both instead of just "bump to attack". Yes every character moves at the same rate now, but a system is in place to allow some characters to move faster and slower. I imagine there will be atleast some monsters that move twice the speed, and some that move half the speed of the player.